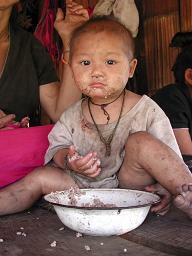 The hill tribes of Thailand make up 2% of the population. These people have for generations lived and cultivated crops in the upland and highland areas, growing upland rice and other subsistence crops. 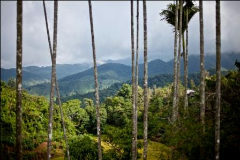 However it is these areas where more and more land is being officially designated as forest reserves, national parks and wildlife sanctuaries. 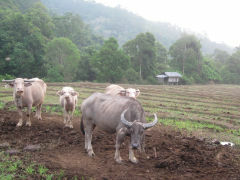 Government policies are forcing many hill tribes to use alternative methods of farming and/or move to other designated areas that are not well suited for traditional agriculture. 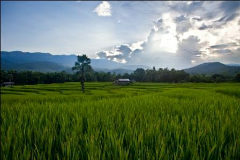 Because of these policies, lack of citizenship, and other external pressures, hill tribes often do not have the same opportunities as other Thai nationals, therefore making it difficult for hill tribes to alleviate themselves from poverty. 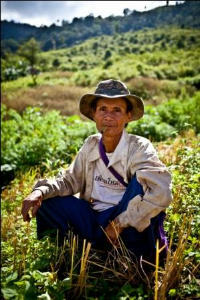 It is estimated that most hill tribes in Thailand and its surrounding regions are living below $350 annual income. That is less than $1/day. It is with these concerns that the Integrated Tribal Development Programme (ITDP) is seeking to help these villages in an holistic sustainable way. These resource-poor villagers find it very difficult to start up income generating activities because of the lack of capital (including land), Thai citizenship, education, Thai language, influence (political/social/economic), markets, networks and civil rights. This is especially true for the landless, handicapped and women. Villagers that don’t have land find it even more difficult to generate stable incomes and end up going to the city to work as labourers. In many instances this opens up new opportunities for tribal people to become involved in drugs (trafficking and consumption), prostitution and crime. Most villagers have some land to farm. Although the government can take it away at anytime it is understood that if the land is taken care of and the trees and streams are not destroyed they can use it to generate an income. Villagers that fall in this target group may be fortunate to have some land but in many cases do not have the resources to utilize the land to its best potential. This usually includes not having the finances to purchase fruit trees, seeds for field crops, gardens, legumes, and local indigenous trees / shrubs used for soil and water conservation. In addition to providing the villagers with funds they also teach them practical skills associated with growing crops, managing livestock, running a store etc. Since 1990 the Integrated Tribal Development Programme (ITDP) has assisted hill tribe people to cope with the many changes that have taken place in their livelihoods. This has predominantly been through small projects providing special assistance with the construction of drinking water and irrigation systems, delivery and management of tree crops for subsistence farming and income generation, fish farming, establishing a Fair-Trade International Coffee Cooperative, self-help groups, and assisting Lahu hostels in areas of capacity building and sustainability. To date, in addition to aiding minority groups in Thailand, ITDP is assisting other countries in the region. More than 250 villages and 6 tribal groups have received assistance from ITDP. Bright Hope World's association with ITDP commenced in 2005 when we started buying coffee from them and importing it to New Zealand. It is exciting to now be able to partner with them in other aspects of their ministry. Hill Tribes: The term hill tribe designates ethnic minorities most of whom live in the remote upland and highland areas of the north and western part of the country. The hill tribes were traditional opium users, which aggravated the problem of their attachment to opium poppy cultivation. 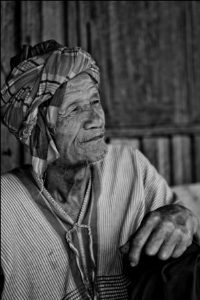 Even today the hill tribes still constitute a considerable part of the drug abuse population in Thailand, with an ever-increasing trend to turn to heroin and other drugs as opium becomes less and less available. Hill tribes want alternative ways of generating income and better opportunities to enter Thai society in a more sustainable way just as other Thais are able to achieve. ITDP will assist villagers according to needs, not religion, gender, social status, or tribe. It is difficult to say which villages will be selected. Villagers that need assistance with activities will convey their request each year to the project management committee (PMC) of each project. ITDP wants to put Christian love into action and works very hard at trying to meet the needs of the disadvantaged/resource-poor in a holistic way. 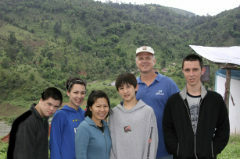 Mike and Becky Mann have been providing support to the hill tribe villages in Northern Thailand and surrounding regions since 1990. Mike is from America and is a global consultant for rural development. He serves as director of Integrated Tribal Development Program in Thailand, in addition to consulting around the world. Becky Mann helps tribal farmers and women's groups, and works with parents of special needs children. She also works with Integrated Tribal Development, helping to market Thai coffee. They have four children, Richard, Melanie, Ryan and Robert. 1) Raise the standard of living of the targeted tribal population regardless of tribal group, religion, gender and social status. 2) Facilitate opportunities that empower resource-poor hill tribes to have more choices by generating awareness to changes in society and by introducing small enterprises and networks that can better their livelihoods. 3) To assist marginal farmers, landless labourers, handicap, women and other groups who are below the poverty line and/or who have been alienated from the mainstream of Thai society. 4) Encourage the long-term integration of the tribal groups into the economic and social mainstream of the country so that they will become permanently settled and economically stable. 5) To implement village community-based development schemes that will assist children, parents and the village communities in areas of education, health, employment, agriculture, environment and watershed protection and to be facilitators in the holistic development of these villages as needs arise. The budget here is unlimited really. US$3,300 is sufficient to start a micro-enterprise fund in one village but there are numerous villages that could be helped.